Fitbit has platform ambitions of its own, which explains why the company acquired smartwatch maker Pebble for $40 million back in December and Vector earlier this year. At that time, Fitbit said that it wants to build a strong infrastructure and apps setup that would allow developers to create and design apps for Fitbit's own platform. And yet, we've heard little since that time regarding Fitbit's plans. Of course, the Fitbit Blaze isn't that terrible of a device, but it lacks the app ecosystem that giants Google (Android Wear), Samsung (Tizen), and Apple (WatchOS) have. Tizen doesn't have as many apps as Android Wear and WatchOS, but that is changing by the day. Fitbit can't even match Tizen's app support in the space right now, which means that it has a tiny chance of even competing with its staunch mobile rivals. And despite Fitbit's claim that Apple doesn't know how to design a smartwatch with functionality, Apple is still eating all other smartwatch companies for lunch when it comes to sheer wearable marketshare. Well, according to a report out of Bloomberg, Fitbit looks to push forward with its platform agenda, as the company looks to release the Fitbit Blaze 2 (its second-generation smartwatch) and the Fitbit Charge 3 next year, in 2018. This is the first we've heard of these two devices, as nothing has come across the radar yet to even convince us that these two upcoming devices are in the pipeline. And yet, despite the good news that these two devices will make a market entrance, all is not well in the company. Bloomberg says that "Fitbit Inc., months away from the debut of its smartwatch, has lost several people working on the project and fallen behind on its app store..." Fitbit has also had other challenges, such as the fallen-through partnership with Spotify to bring music streaming to its Fitbit Blaze smartwatch, not to mention a lackluster developer response and technical challenges such as making the device "completely waterproof" to bring the Fitbit Blaze 2 up to par with competing smartwatches already on sale on the world market. We don't have any information on what the Fitbit Charge 3 and Fitbit Blaze 2 will bring to the table, but it appears as though the majority of Fitbit's smartwatch team has been placed on other projects. So, with that said, the Fitbit Blaze 2 could still be up in the air. 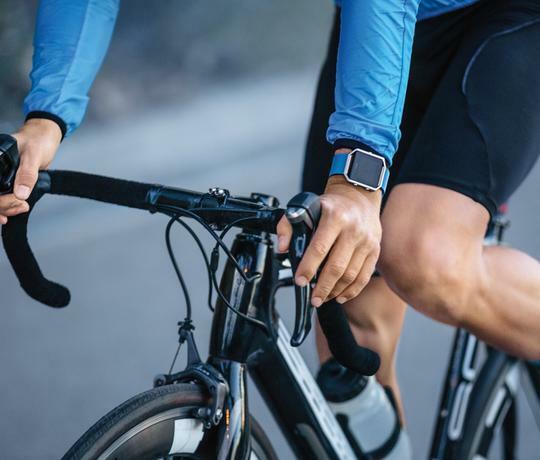 As for the Fitbit Charge 3, while it will prove a good fitness tracker on the market, the fitness tracker market is reaching a period of saturation where there's little opportunity for increasing sales. This means that Fitbit's financial fortunes are riding on the Fitbit Blaze 2 more than ever before. Only time will tell (pun intended), but it'll sure prove an interesting thing to watch (yet another intended pun).